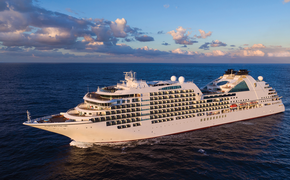 Variety Cruises’ mega-yacht Variety Voyager is the first sea-going vessel to become a member of Preferred Hotels & Resorts’ Preferred Boutique brand of small properties. The newly built 223-foot Variety Voyager accommodates 72 passengers in 36 cabins and has a crew of 28. Variety Cruises is a boutique cruise line with a fleet of 11 fully owned vessels including mega-yachts, sail cruisers and private luxury yachts. The company has announced new 2012 itineraries in the Middle East, West Africa, Mediterranean and the Adriatic. All Variety Cruises’ ships accommodate 12 to 75 passengers.